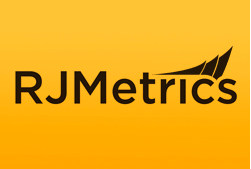 Philadelphia-based analytics software company RJMetrics, long held up as a symbol of the city's emerging tech sector, has been acquired by Campbell, California-based Magento Commerce, the companies announced on Monday. Magento, a world leader in cloud digital commerce, presented the deal as an opportunity to secure a native solution that will help businesses optimize their operations based on actionable data and insights. The terms of the deal were not immediately disclosed, but the newly branded division will remain in Philadelphia and RJMetrics will spin off a second company, Stitch, focused on managing data pipelines for commerce businesses. Founded in 2009 by Moore and Jake Stein, RJMetrics attracted major venture-backed funding in 2012. The company went on to receive global recognition for its CloudBI analytics platform serving and data journalism on high-profile case studies. Earlier this year, the firm encountered some setbacks when it laid off 20 percent of its workforce and lost several staff members in subsequent months. Moore, speaking to Technical.ly Philly, described the acquisition as a positive evolution for the company that will harness the core values from its inception and continue to valuably serve small to mid-size businesses. The RJMetrics brand will be phased out in six months as Moore heads up Magento Analytics and Stein becomes CEO of Stitch. "When Magento spun out of eBay last year into a standalone company, Jake and I knew there was a great opportunity to forge a deeper partnership with one of the most important platforms in our industry," said Moore. "Just a few months later, I’m thrilled to be joining forces with the Magento team."